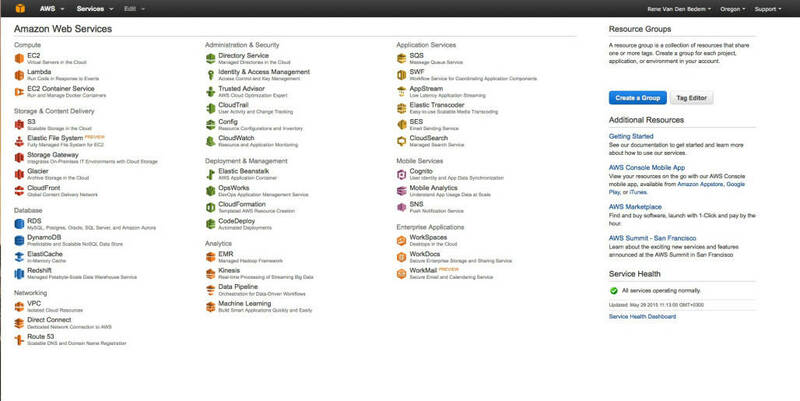 It has a massive library of services for you to use in developing cloud-based solutions. As part of my NPX preparation (AWS Certified Solutions Architect – Professional is one of the recommended qualifications) and my RapidMatter GitHub project (will run from AWS), I have been delving into the world of Amazon Web Services. One statement: “Wow!” I can see why they are the world leader in Public Cloud services. Here is the cool thing, as an Enterprise/Cloud Architect you have a MASSIVE library of services (40+ at time of writing) that you can use to develop Cloud-based solutions for your customers. As you read through the list below, you will see the fundamental building blocks for every solution. By having this service matrix, you do not have to reinvent the wheel; it already exists and is ready to go. Thus, you can focus on making sure your customer requirements are being met with elegant and innovative designs. Under The Hood: AWS uses a heavily customised version of Xen as its hypervisor.